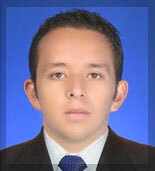 Javier Suarez earned his college degrees in Psychology and Research Methods from CESMAG University in Pasto, Colombia, and from Manuela Beltran University in Bogota. After receiving several certificates in the area of human high performance, Javier opened his private practice in 2013. The Pasto Chamber of Commerce awarded it as one of the most innovative and useful business in this area of Colombia. Javier has strong experience with all major sports and as an MTI Certified Mental Trainer® is available to work with Spanish-speaking athletes and business clients in Colombia and world-wide via Skype.